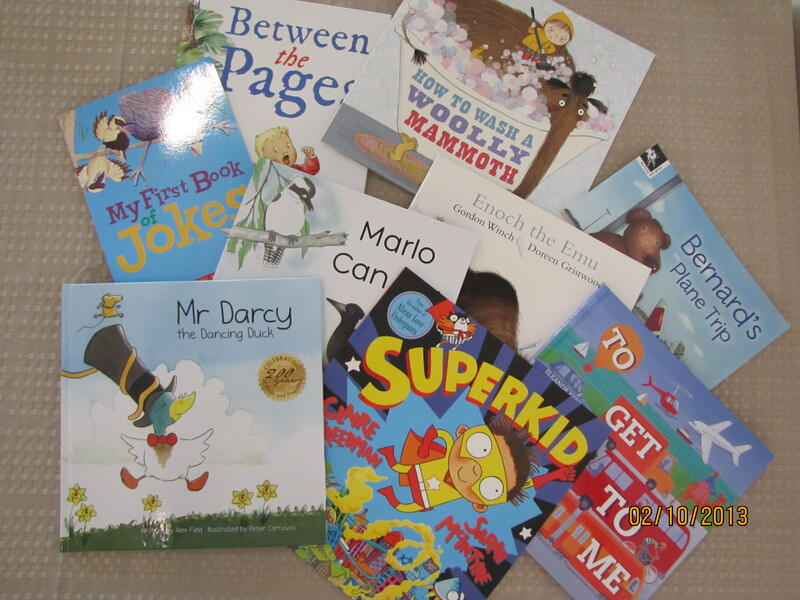 Win a Pile of Picture Books! As promised the first pack of books is up for grabs as we return to full swing bug life. Our first collection is a colourful set of picture books. Please see below for details. The most interesting book in the Bugalogue is………. Because………. You need to have an Australian postal address. Entries close on the 7/10/13. Winners will be notified on this blog on the 7/10/13. The winner must come forward within 48 hours or the prize will be re-drawn. It will pay to follow the blog or our facebook page to avoid disappointment. Good Luck! ‘Jeremy’ because its such a cute name with so much potential- spread your wings and..fly! The most interesting book in the Bugalogue is GRUMPY GRANDPA Because some of the Grandchildren call my Father a grumpy old bear and even worse one calls him The Judge. I think this book may just help them to see my Father as a person. Sorry, I didn’t realise you had to do it there. I came from Facebook to here. Sorry for the delay!!! Oh how time got away from me! The winner of the book pack is Mary Preston! Please contact me on buginabook@bigpond.com with your postal address Mary. Congratulations! So in the re-draw our winner is………Monique! 😀 Congrats Monique. Please contact me on buginabook@bigpond.com with your postal address.